A friend from our Purple Magma group threw a Stella and Dot party this afternoon. If you're not familiar with Stella and Dot, it's a home party direct sale company that sells gorgeous jewelry. Too bad I don't wear a lot of jewelry! But I still managed to pick up a couple of trinkets. 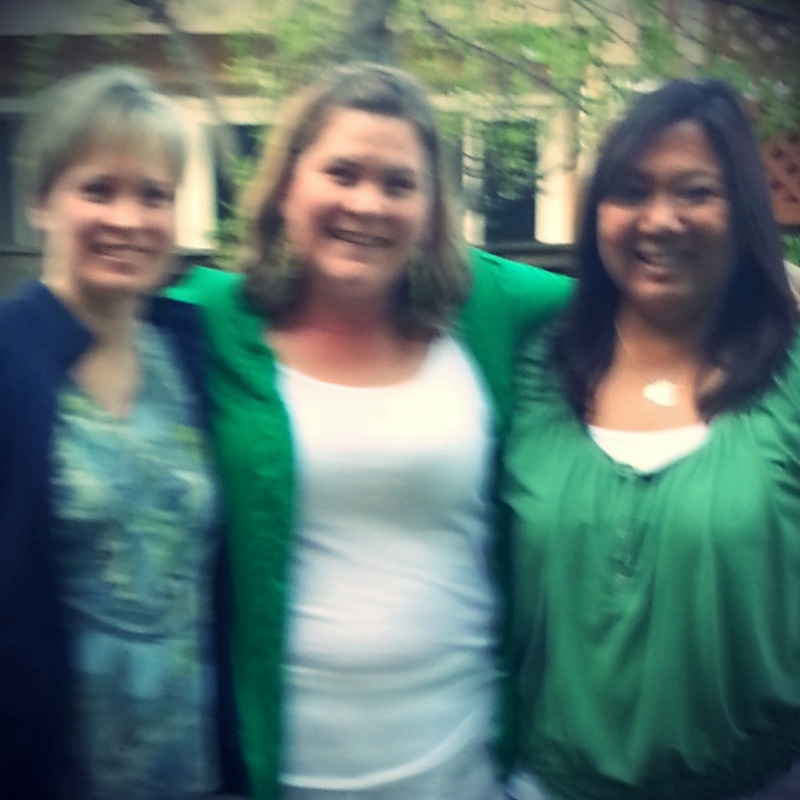 Angie, Whitney (the hostess) and I, wearing our obligatory green for St. Pat's. Didn't want to get pinched! I refuse to be deterred by a blurry photo. Just finished editing and uploading my video slideshow of yesterday's St. Patrick's Day Parade. It's a tad long, just under 4 minutes (I have youtube ADD - 2 minutes is usually my maximum attention span)...but I had a hard time cutting stuff out! Especially of those massive Irish Wolfhound dogs. Now that's a dog!! It's the tallest dog in the world, and if it could stand on it's hind legs, it could span over 7 feet tall! They're about 1/2 way in the video.